Through the transcranial direct current stimulation (tDCS) and the transcranial alternating current stimulation (tACS, tRNS) you can generate neuromodulations of the spontaneous neuronal activity that provides a useful tool to enhance the study and rehabilitation of many central nervous system pathologies (migraines, depressive states, epilepsy, motion disorders, language disorders, spasticity, tinnitus, memory disor-ders, Parkinson’s, Alzheimer’s, pain, dystonia, hypertension, stroke, ischemia, addictions, cognitive disorders, etc.). 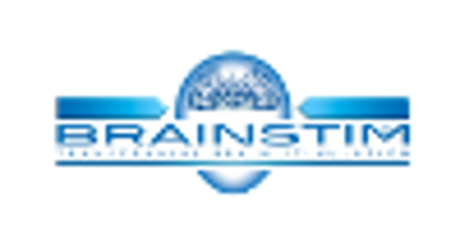 The BrainSTIM stimulator is an entirely programmable system and it’s designed both for research purposes and for the planning and realization of a complete therapeutic process, whether in a practice or as home treatment. 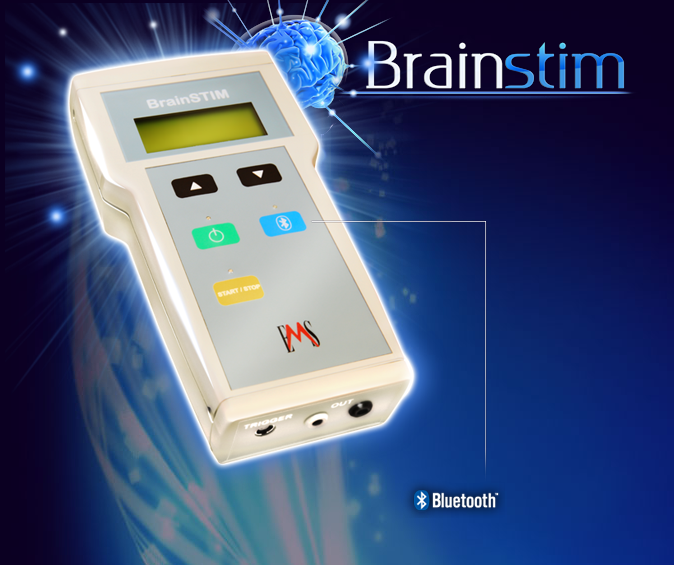 The BrainSTIM is able to communicate with the control and programming unit via wireless Bluetooth® connection: stimulation protocols can be easily created in the computer and then saved in the stimula-tion unit, which becomes a ready-to-use tool. It’s simple and user-friendly controls make it perfect for domiciliary use.The BrainSTIM automatically stores all data coming from the stimulation sessions (patient, date, time, stimulation duration), generating a “digital diary” for each patient. This information can then be read directly on the control unit through the BrainSTIM software. Pulsed, continuous, sine half-cycle, half sine, sine, noise with selectable band. TTL Trigger in/out for the synchronization with external systems (with additional module), to use multiple stimulators at a time. Automatic control/memorization of treatment stages. Software suitable for Personal Computers windows based. Supplied with a handy bag, specific electrodes and connection cables, battery charger and set of rechargeable batteries, for a complete turnkey system. For further information please contact us using following module. Antal, Andrea, Nicolas Lang, Klara Boros, Michael Nitsche, Hartwig R Siebner, e Walter Paulus. «Homeostatic metaplasticity of the motor cortex is altered during headache-free intervals in migraine with aura». Cerebral cortex 18, n. 11 (2008): 2701–5. Antal, Andrea, Daniella Terney, Stefanie Kühnl, e Walter Paulus. «Anodal transcranial direct current stimulation of the motor cortex ameliorates chronic pain and reduces short intracortical inhibition». Journal of pain and symptom management 39, n. 5 (2010): 890–903. You must login to download some materials.